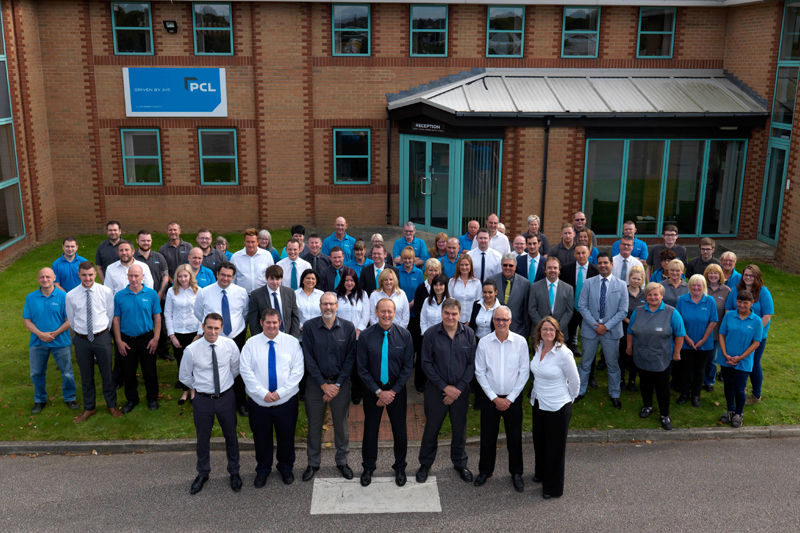 PCL is celebrating 80 years since its incorporation in Sheffield in June 1938. From the appointment of its first directors, Henry Turner and Thomas Brown, the business has experienced eight decades of success, consistently designing and launching compressed air and tyre inflation products. PMF finds out more. 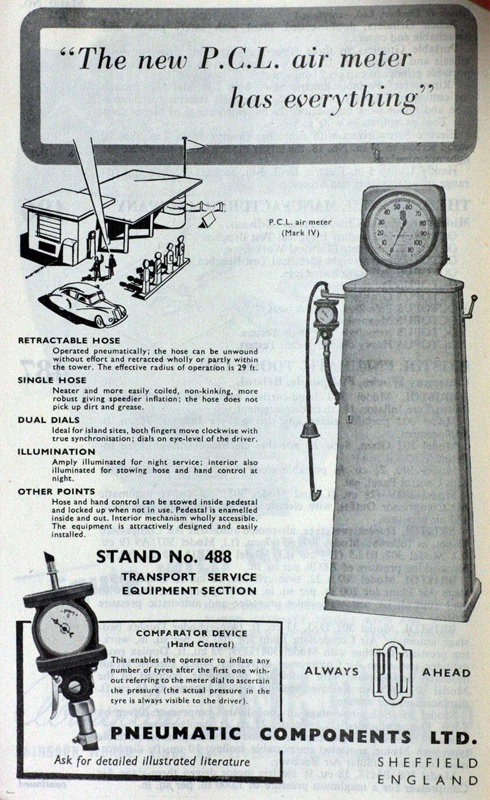 Mr Turner’s manufacturing knowledge, Mr Brown’s design expertise, and their forward- thinking vision saw them make their first patent application for a pneumatic coupling, which set PCL on course to become the business it is today – with its products now a common feature on garage forecourts and in tyre shops and workshops around the world. Just one year after PCL was founded, England declared war on Germany and hostilities began; continuing through to 1945. It was reported at a PCL board meeting in November 1939 that it had secured a contract with the Air Ministry and that signalled the beginning of PCL’s contribution to the defence of the country for the next six years. Today, PCL’s products are sold in over 100 countries and it still designs and manufactures from its 12,000m2 production facilities in Sheffield – the home of engineering excellence. The business also has manufacturing operations in China – one of the most dominant countries in the world in terms of electronics manufacturing. To commemorate its landmark 80th year, PCL introduced the ‘80 Good Deeds’ initiative, a year-long programme of fundraising activities in aid of the Cathedral Archer Project, a local charity that aims to help homeless and vulnerable people. Recently, PCL has launched several exciting new products. The N72 Mobile Nitrogen Generation and Inflation Cart combines the latest in high performance digital inflation technology with the cost- effective delivery of nitrogen. The Slow Retract Hose Reel is robust, safe and easy to use, and has been designed specifically for the workshop environment. PCL’s simple ‘plug and play’ preset electronic inflator, the ACCURA QUBE Series II, comes with ‘human touch’ recognition, delivering basic inflation and deflation with repeatable accuracy. The next level up from a digital handheld, it features the option to have a four-button extension module that is configurable to customer requirements, or a communication module, which enables Bluetooth and wireless connectivity to a handheld or other digital device. The ACCURA MK4 Digital Tyre Inflator is a premium indoor and outdoor electronic tyre inflator, which combines the robustness of a mechanical gauge with the simplicity of digital. The AIRFORCE MK4 Tyre Inflator is a robust and environmentally tolerant analogue inflator. 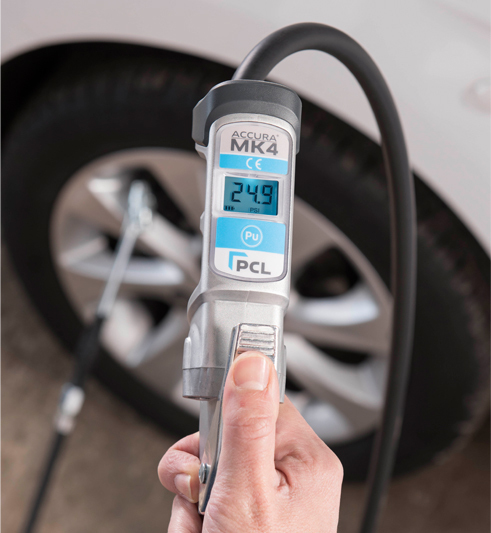 PCL also offers a wide variety of air tools, air accessories, tyre care and hose products. Each product is built to last, using only the highest-quality components, ensuring optimum reliability and durability, and all are thoroughly tested and individually certified before they leave the factory. It also supports its distributor network with full product, service, sales and marketing support. Proud of its past and the products it has developed so far, but with research and development at its core, the next 80 years of PCL Air Technology looks set to be filled with further exciting innovations that answer market requirements, while delivering accuracy, safety and reliability every time. For more information on the products available from PCL, click here.